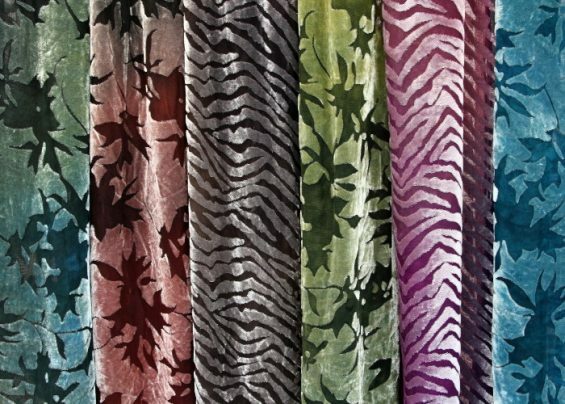 Our hand dyed Silk Velvet Devore scarves are designed with a variety of colour variations throughout. Scarf measures 1.45 metre long x 30 cm wide. Composition: 18% silk and 82% rayon. 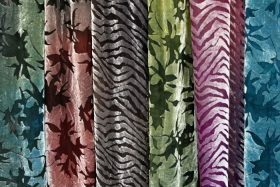 Each colourway comes in a choice of two patterns: Waves or Leaves.